Book with us for your next tour when in salt lake city and the surrounding areas. Watch our new video and see how good of a job we do and will make your next tour your best tour ! 801 654- 6763. 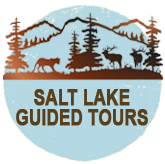 Salt lake city tours, slc tours, Utah tours, Mormon tours.